I wanted my first word about Charles Marsh’s Bonhoeffer biography (Strange Glory) to be a positive one, praising Marsh’s work for its eloquence, thoroughness, and frankness. It is a masterpiece in these regards. The one part that troubled me was a theme in the biography that others have noted as well – while Marsh does not refer to Bonhoeffer as gay/homosexual, he does portray Bonhoeffer’s feelings towards his friend and student Eberhard Bethge as sexual desire (passim, but see in particular p. 384). I don’t think this was a wise choice for Marsh, but I do want to give Marsh credit where credit is due. I think what Marsh was drawn to when he engaged with the personal writings of Bonhoeffer (and information from Bonhoeffer’s friends, relatives, and associates about him) was how he singled out Bethge as a companion and friend and poured out love and affection on him. This was not just about strong feelings, but also about frequency and intimacy – Bonhoeffer wrote scores of letters to Bethge (sometimes more than one per day). He thought about Bethge constantly, almost endlessly while he was in prison. This relationship with Bethge is not examined so microscopically in most other biographies. I think Marsh was right to highlight this because Marsh’s intentions in the biography was to capture Bonhoeffer the person. I think it was appropriate to bring up Bethge as often as he came up in Bonhoeffer’s life – which is a lot during and after Finkenwalde. This relationship simply cannot be ignored. I also think it right for Marsh to portray this relationship as somewhat one-sided. 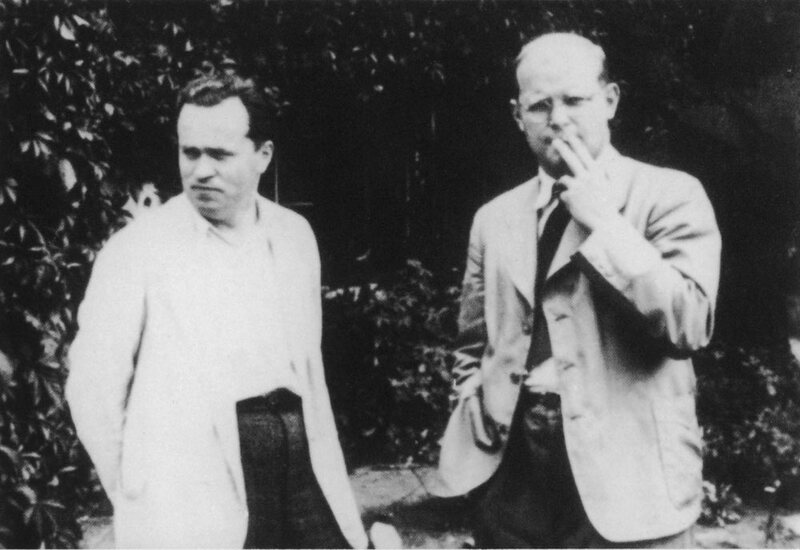 Bethge relished his one-of-a-kind friendship with Bonhoeffer, but acknowledged his own failure to reciprocate letter-writing, visitation, and effusion of adoration equal to his mentor. In that sense it is acceptable to call Bonhoeffer’s love “unrequited.” Bonhoeffer needed Bethge, he was dependent on him in many ways. I think this needs to be recognized to really understand Bonhoeffer. Where, I think, Marsh goes too far is sexualizing Bonhoeffer’s interest in Bethge. As others have noted (hat tip to my buddy Wesley Hill), Bethge was asked at a gathering (years after Bonhoeffer’s passing) whether his relationship with Bonhoeffer was sexual. Bethge denied this and referred to himself and Bonhoeffer as “normal” (an insensitive label by today’s standards, but insightful nonetheless). Now, could it be that Bonhoeffer really did, after all, have sexual desires for Bethge? Perhaps – we must leave open the possibility. Human desire, after all, is complex. But to characterize Bonhoeffer in the way Marsh does, gap-filling as a biographer is trained to do, is going too far and psychologizes Bonhoeffer in a way that seems to me unnecessary. I think it right to say that many people around Bonhoeffer conceived of his friendship with Bethge as peculiar (even his parents). Even Bethge seemed overwhelmed at times. But for “strange glory” people such as Bonhoeffer, sometimes their feelings and experiences defy such classifications. He lived a lonely life in many ways – on the road, living in several different countries, hiding here and there from conscription and the Gestapo. He found a soulmate in Bethge, and Bethge was not unwilling to have this unique friendship (though he did sometimes feel guilty he could not write or visit more often to assuage Bonhoeffer). He needed Bethge. That relationship was an anchor for his soul, especially when he was isolated in prison. I think we can see this in all its “strangeness” (so to speak) and not feel compelled to say more. That is my two cents. For helpful further reading, see this great post by Wesley Hill. The photograph is almost a metaphor for this unrequited love as Bethge gazes in the opposite direction.